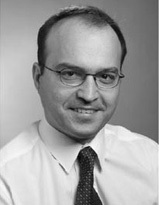 Dr Vasilis Polimenis is a Professor of Financial Management. A graduate of the Department of Computer Engineering (graduated at the top of his class) of the School of Engineering, Patras University. He holds a MSc in Computer Science from University of California at Berkeley and a PhD in Finance from the Wharton Business School, University of Pennsylvania in Philadelphia (2001). His work on Credit Risk was awarded the Lehman Brothers Fellowship for Research Excellence in Finance, New York 2000 (finalist for best US PhD in Finance). He has been an Associate Professor of Finance with Pepperdine University, in Malibu, California, and an Assistant Professor of Finance with the Anderson Graduate School of Management, University of California, Riverside. He has been the Executive Vice Chairman of the Board of Directors, Consignment Deposits and Loans Fund. Executive member of the Hellenic Gaming Commission. Financial Analyst/Consultant with Merrill Lynch and an Executive Vice President and Chief Investment Strategist, Zotos Financial Inc. He is Tenured Associate Professor of Finance with the Division of Business Administration, School of Law and Economics, Aristotle University (currently on leave). He has been the MBA Director School of Law and Economics, Aristotle University. He is experienced and certified educator in distance learning as an adjunct Professor with the Hellenic Open University.